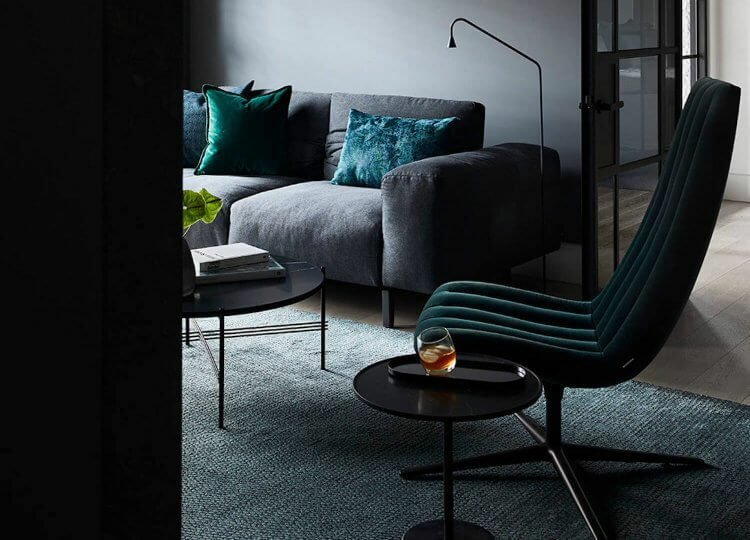 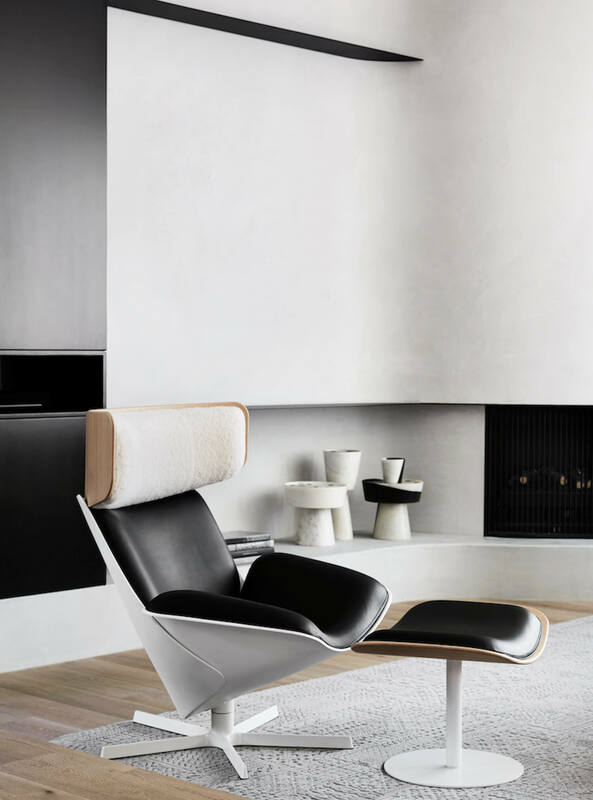 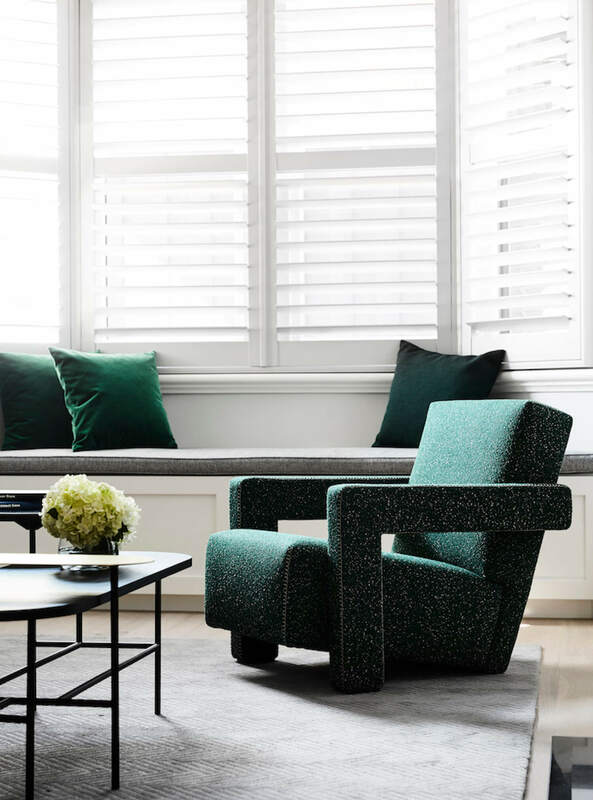 As one of Melbourne’s most called-on designers, Miriam Fanning of Mim Design has a knack for creating spaces that feel glamorous yet welcoming. 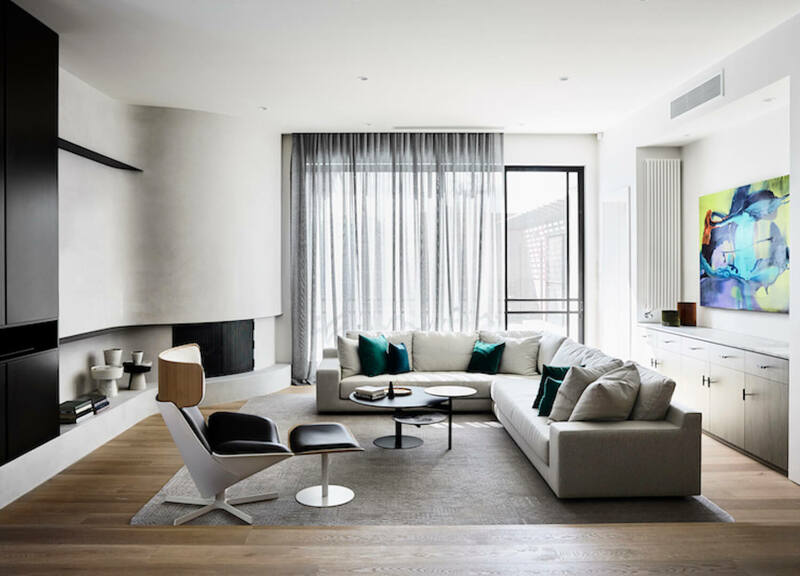 Like that friend you have who is always perfectly put-together yet makes it seem so easy, Mim Design homes ooze sophistication yet never lose the humanity of the real people inhabiting the space. 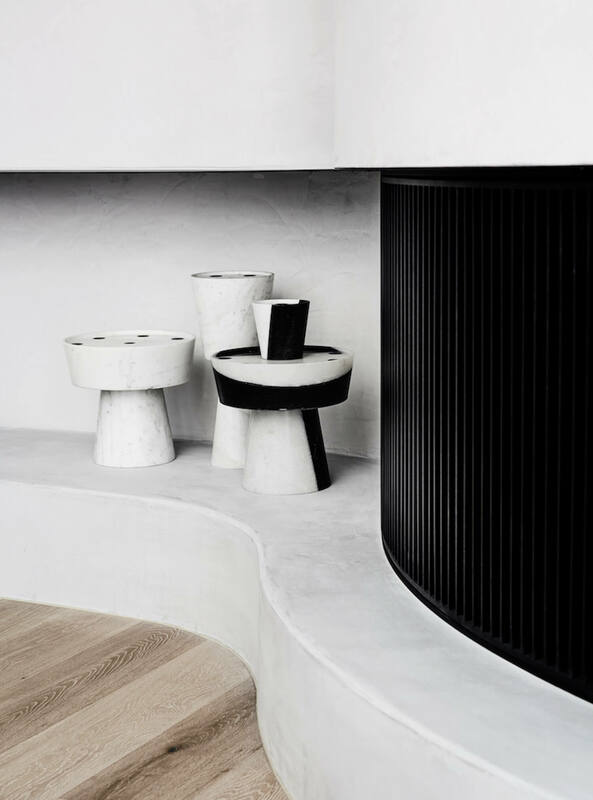 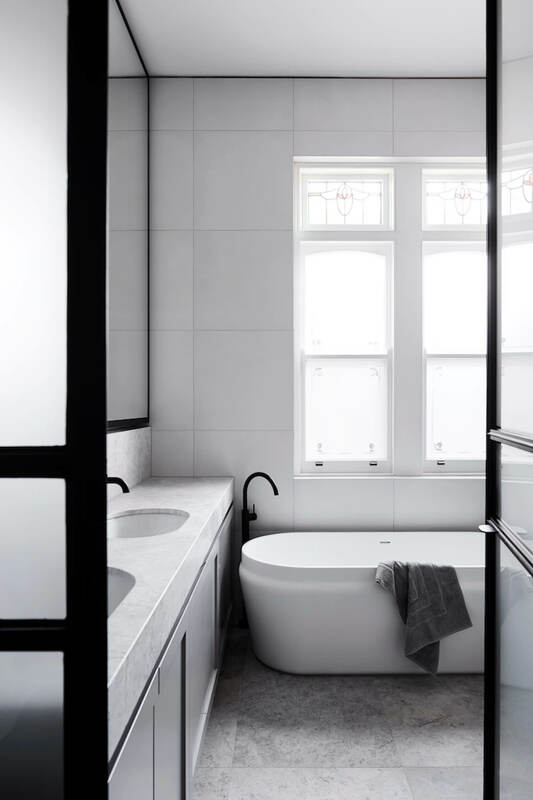 A recent project from Mim Design unites the studio’s signature style with historic architectural elements, transforming a family home in Elsternwick. 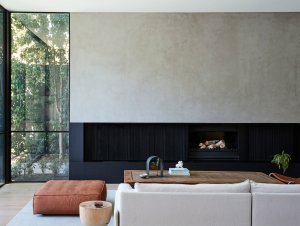 Revitalising the the house from a dark, archaic layout to a modern sanctuary, Mim Design have emphasised natural light and elegant features while creating practical spaces that can be adapted to the client’s evolving needs. 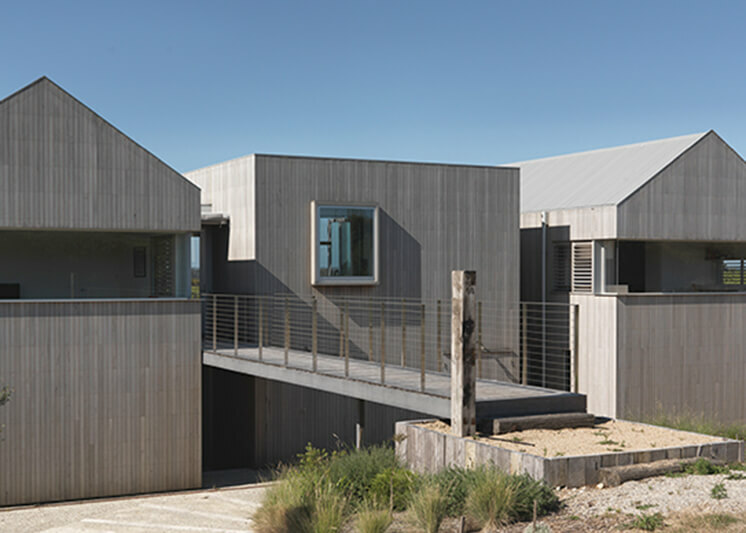 The home’s original structure was fraught with cramped unusable spaces, lacking the flow of a more modern floorplan. 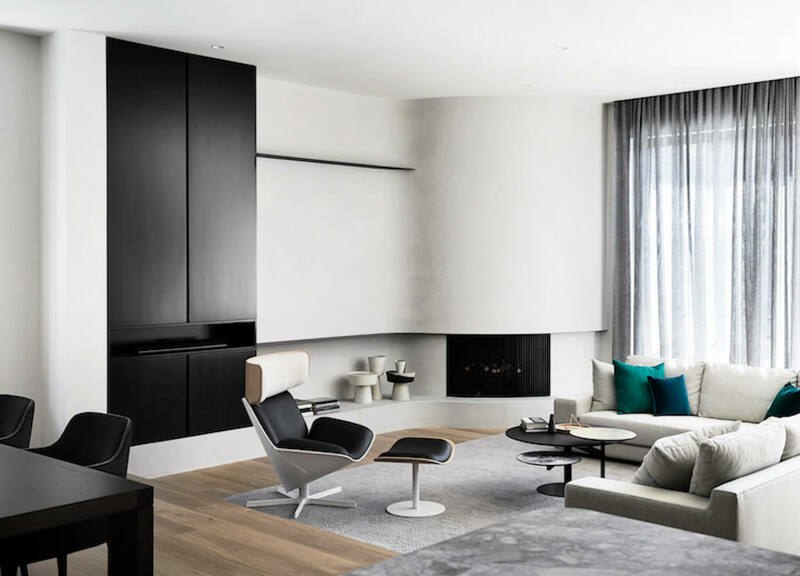 To tackle this, Mim Design implemented a comprehensive redesign, encompassing a new floorplan and renovation alongside styling and soft furnishings. 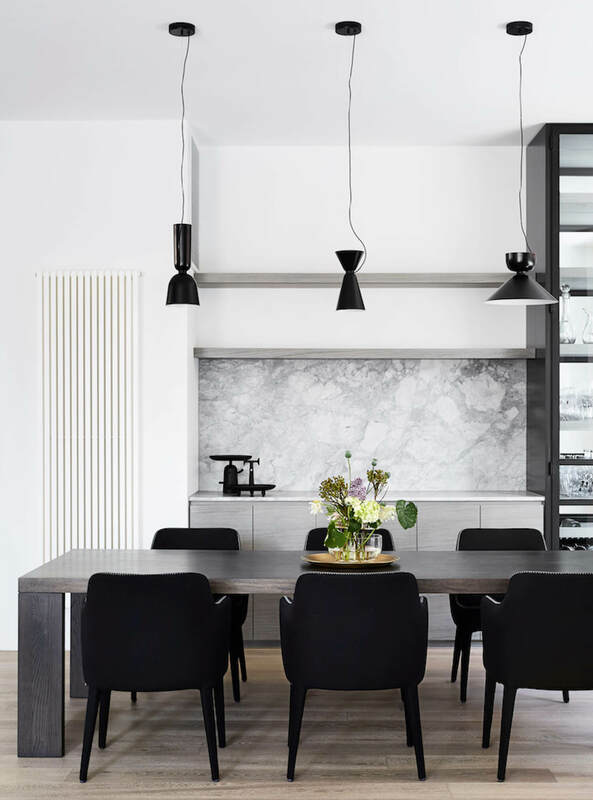 “Our goal was to create a family home that met the client’s needs aesthetically but also created a practical family home where each room and space served a purpose” says Miriam Fanning. 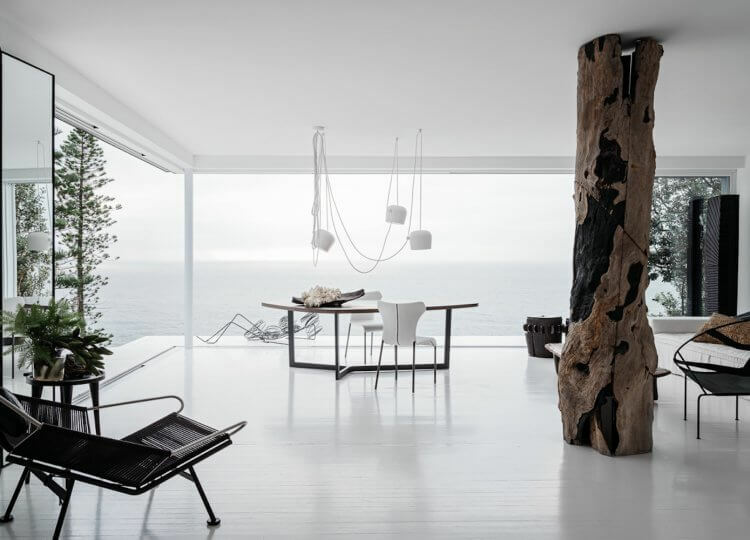 The restructure and renovation drew on the functional goals of the inhabitants. 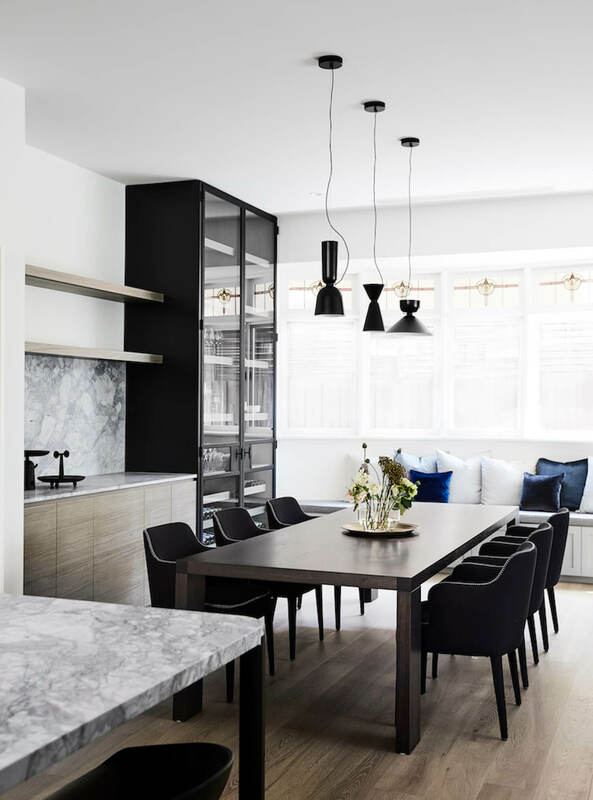 Embracing the family’s love of entertaining and hosting dinner parties with friends and families, the design switches the original oversized kitchen and cramped dining room, creating both space and functionality. 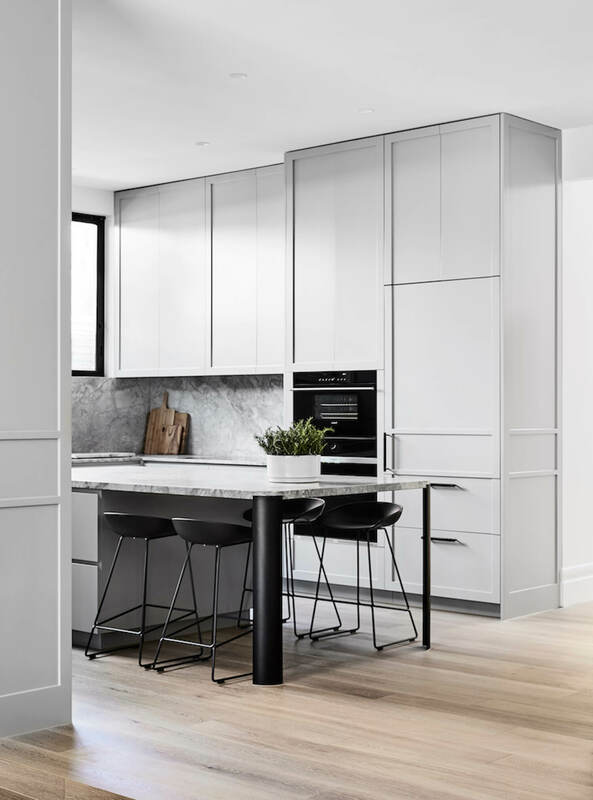 Studying how the family used their space, storage and seperate private/communal areas led to a reimagining of the entire floorplan and significant renovation process. 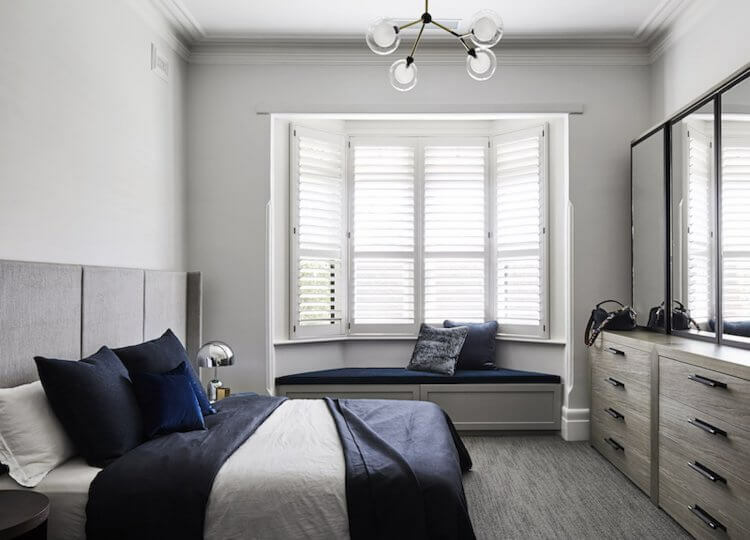 With a wealth of new spaces incorporated in the revised layout, the rear ceiling was raised to bring in extra light and match the front of the house, creating more natural light-filled spaces and a visually larger area. 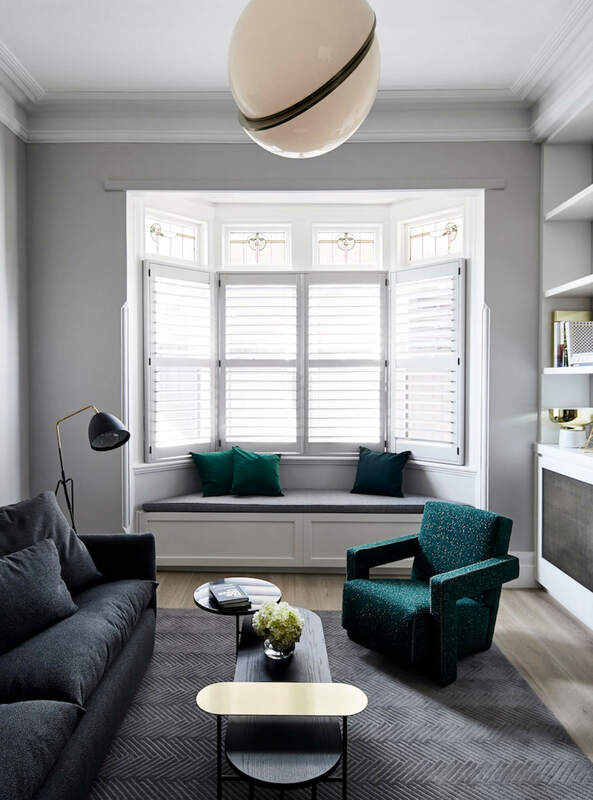 The feeling of lightness was further explored through the materials, where a soft monochrome palette plays out throughout with home with accents of turquoise in the living room adding a pop of colour. 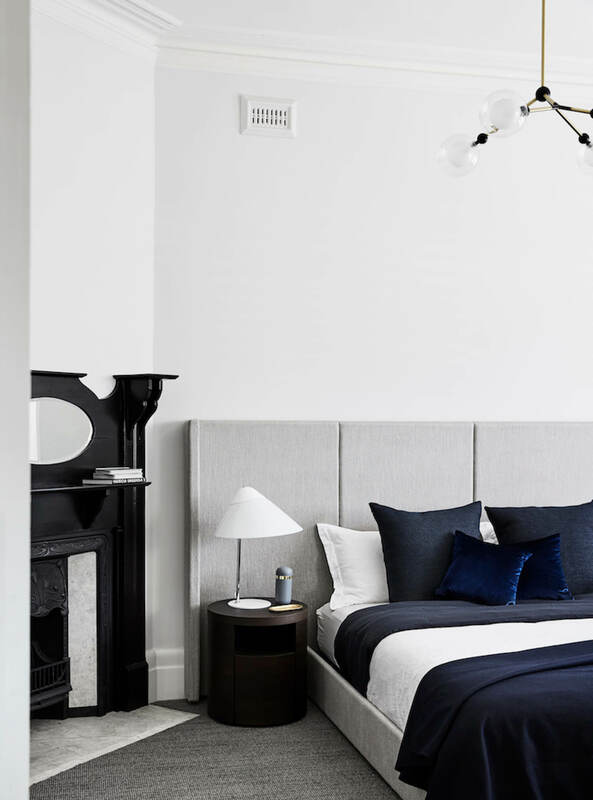 With soft tones, light-filled spaces and that sense of old world glamour, this home really does feel like a breath of fresh air, managing to unite history and modernity with ease. 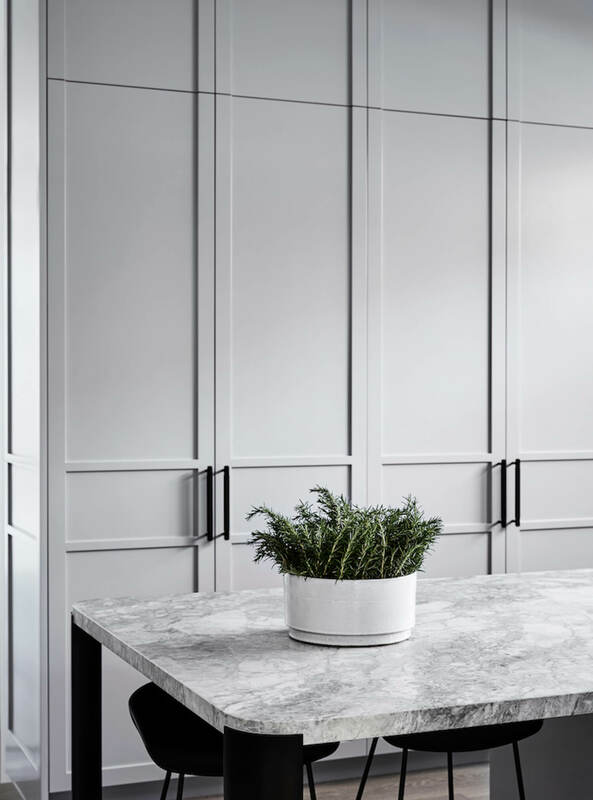 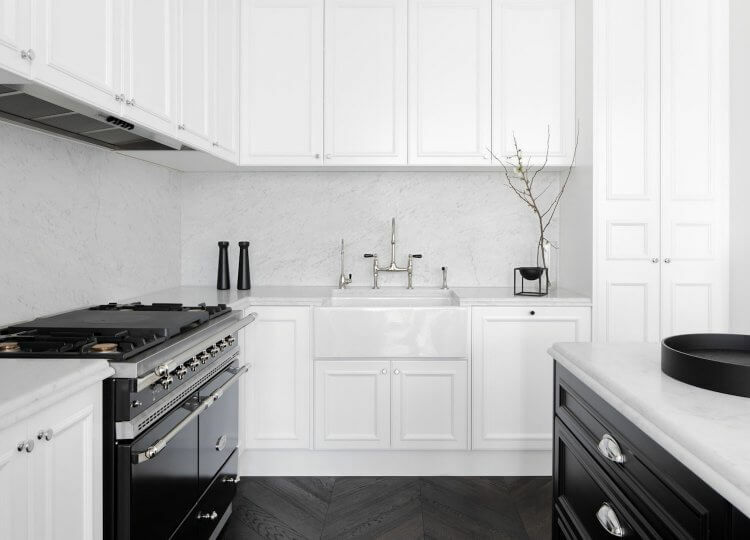 While the palette of milky white and airy greys provide a central focal point throughout the home, the black accents add a nod to the home’s Edwardian architecture, reinterpreting the original aesthetic in a subtly modern way. 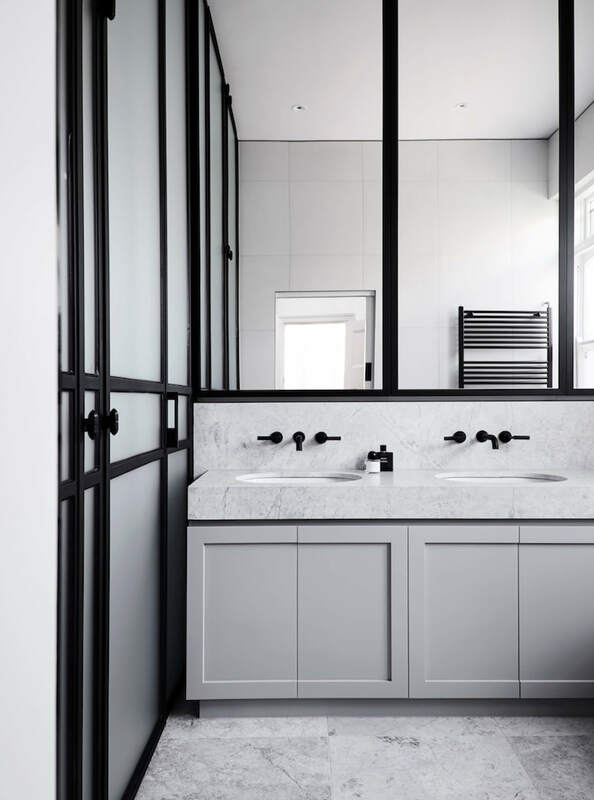 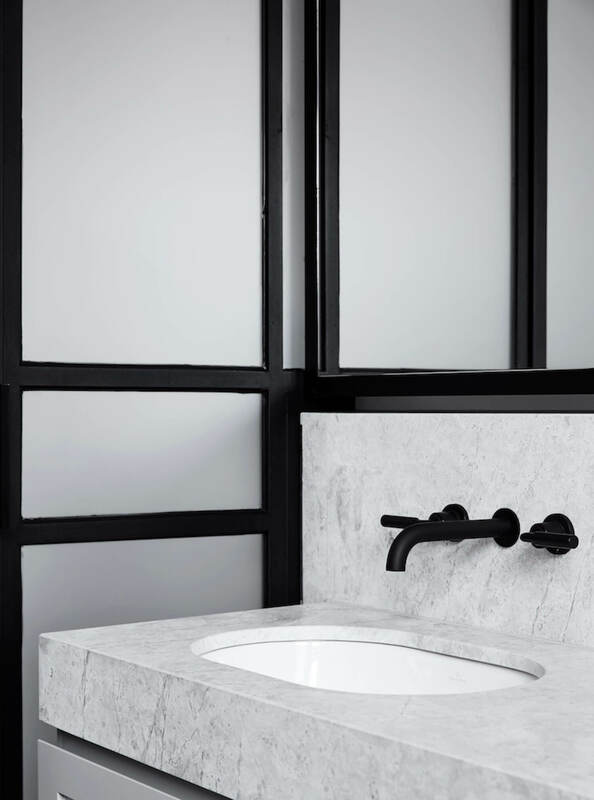 Characterised by the black steel framing and grey cabinetry and stone, the bathrooms also feature Buster + Punch handles and custom light fittings, reflecting the owner’s desire for a contemporary finish.